Tax Time: What’s this box for? Beyond Basics Office Management knows everyone likes getting a little extra money back from the tax man. Here are some T4 slip boxes that can get you a bigger refund. If you work on commission, make sure your employer put’s an amount in this box so you can claim some eligible expenses and get a bigger refund. Box 85 – Employee-paid premiums for private health service plan. It’s important your employer fills this box properly for your share of your private health service plan, including medical and dental plan costs. If you don’t know about these boxes or have questions, Beyond Basics Office Management can help! If none of the aforementioned boxes apply to you, RRSP’s are another way to get a larger return. 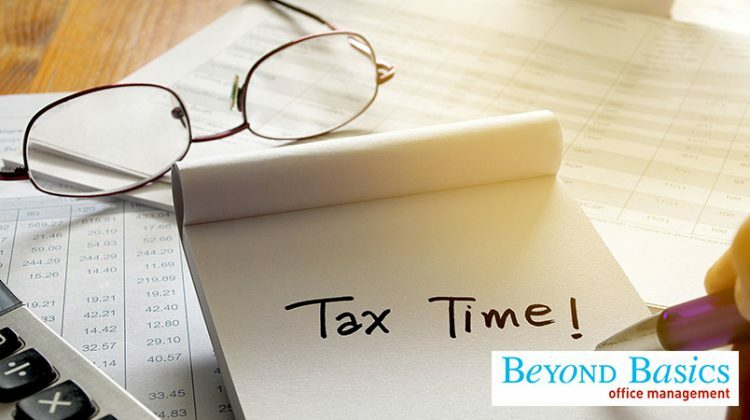 Depending on your income bracket, you can get between 25 and 40 percent of your investment back when you file your taxes. BUT, this only works if you leave the investment in the RRSP’s for the long term. If you take money out of the RRSP You will have to pay tax’s on it. Here’s some other tax refund opportunities that may apply to you! Talk to your tax specialist if you or one of your dependents has a disability. The form T-2201 has to be filled out by you, your medical practitioner, and submitted to the Canada Revenue Agency for approval. This can be applied retroactively to the diagnosis date of the disability. The form T-2202 that you get from the educational institution allows for the deductions for tuition, education and textbook amounts. Additional deductions students overlook most often are moving expenses and public transit amounts.